When a spouse fights divorce related issues, or the divorce itself, the case becomes a divorce. The areas of disagreement could include, child custody, division of property, financial support, and separation. In such cases, it is important to retain an attorney. An uncontested divorce happens when your spouse does not respond to the court papers served on him/her. It can also arise if there are no disagreements between over any financial or divorce-related issues. During such cases, you can represent yourself in court. However, if your spouse is serving through a lawyer, then you should too. If one parent takes the sole custody of the child, then the other parent will have to pay for the child support on a fixed basis. 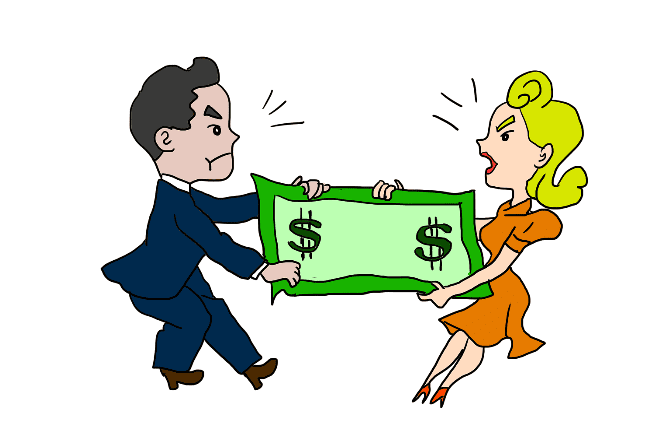 Equitable distribution means the distribution of marital assets between the two spouses. With this type of distribution, many factors are considered. The first factor is to determine whether the existing assets classify as marital or not. Additionally, it is not always important that all of the assets have to be distributed equally between both spouses. Maintenance or alimony means providing economic support to the spouse who is not financially self-sufficient. The emotional impact is very subjective, and is experienced differently for every individual. People can cope with this impact in many different ways. Another critical problem people face is the organizing finances. Gather all the financial documentation that include your mortgage statements, your bank account information, wills, trusts, credit card bills, etc. Open a separate and new account in your name to ensure that all of your income and savings are secured. Estimate and collect your legal funds. Travelling down this road alone can be overwhelming. That is why legal assistance from the premier divorce lawyers at Law Offices of Spar & Bernstein, P.C. is critical. The matrimonial and family law division at Spar & Bernstein comprises of attorneys equipped to handle contested and uncontested divorces. Each attorney provides clients with sound financial advice, and are poised to fight for you in a variety of matters. Dedicated to treating each case passionately, and to keeping you out of unnecessary legal chaos and expenditure, Spar Bernstein can help those navigate the tumultuous time of divorce. To learn how Spar Bernstein can help you, get in touch with them NOW!